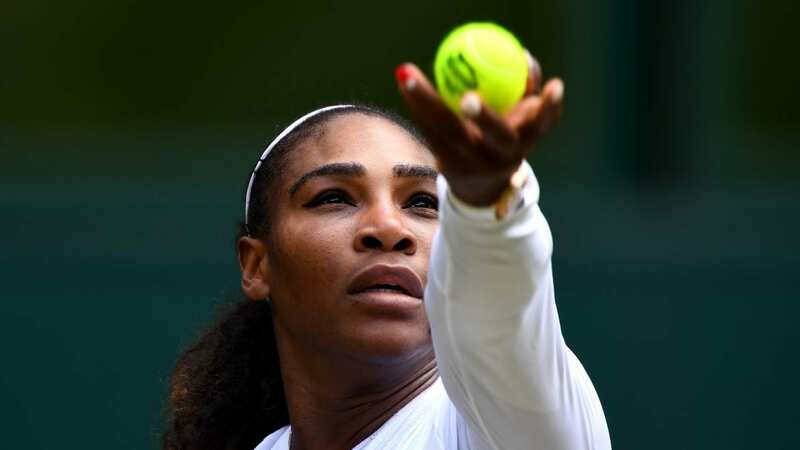 American tennis player Serena Williams will play in the Wimbledon Ladies singles final for the tenth time on Saturday. She is favored against Germany’s Angelique Kerber to win her eighth Wimbledon singles title. And Williams has lost only one set in her six matches so far. “There’s a sense we’ve seen this movie before,” says Sports Illustrated Executive Editor Jon Wertheim. Yet even a veteran tennis writer such as Wertheim, who’s in London covering the tournament, is surprised. Very surprised. For those who don’t have access to HBO, or haven’t paid attention to the last year’s news about the world’s greatest female tennis player, here’s a rather harrowing recap. Williams won the first major tournament of 2017, the Australian Open, when she was pregnant. She took off the rest of the 2017 season, and in September, delivered her baby, Olympia, via C-section. And then “everything went bad,” Williams said in a January 2018 Vogue interview. She developed blood clots in her lungs, went through multiple surgeries and was bedridden for a month and a half. She recovered, started to reclaim her fitness and her game, and in March of this year, announced her comeback to competitive tennis. The journey picked up steam at the French Open last month. Which brings us to the past two weeks in London. Williams came into the most famous tournament in tennis ranked an absurd 181st in the world, due to her long layoff and lack of great results. Wimbledon seeded her No. 25. As Williams started to work her way forward during the tournament’s first week, the women’s draw around her was experiencing a historic fail. All of the Top 10 seeds lost. Tennis writer Perrotta says Williams is just shy of all-the-way-back. Which seems to be both good news and bad news for women’s tennis. Good in that Williams is close to being all the way back and dominating her sport unlike any other athlete. Bad, in that it makes one wonder what will be left of the women’s tour once 36-year-old Williams retires? All the upsets in that first week of Wimbledon generated a lot of talk about what they represented. A tremendous parity in the women’s game? Or the absence of consistent challengers to Williams’ reign? Saturday should be a competitive final, at least on paper, Wertheim says. Kerber, 30, is a veteran player who’s won two Grand Slam titles – in one of them, the 2016 Australian Open, she beat Williams in the final. Williams, as often seems to be the case, is trying to make history. A win Saturday would be her 24th grand slam singles win, tying her with Margaret Court for most in history. And despite what Williams has been saying about appreciating life more after her ordeal less than a year ago, and about the gift of motherhood, her competitive fire still burns brightly. If she gets there, “I think it’s a stupendous, amazing accomplishment,” says Tom Perrotta.